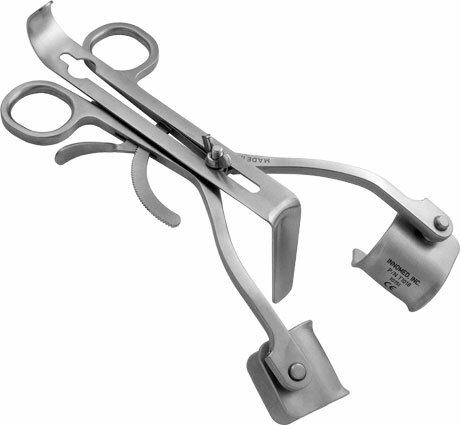 The blade design features an anatomically contoured distal end to hug the radius cortex. 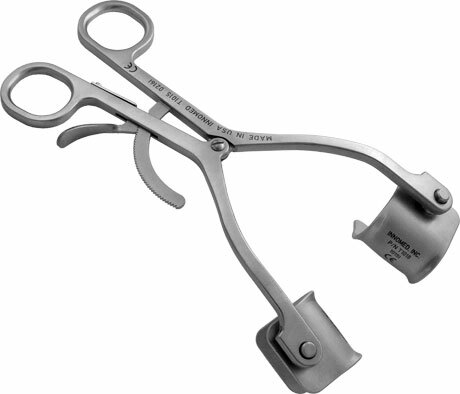 The smooth distal end helps to avoid deep penetration, and the width matches the width of the distal biceps tendon insertion site. 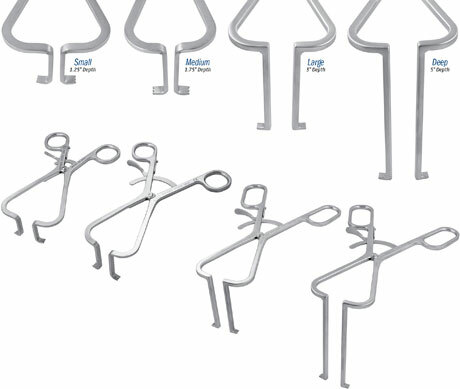 The narrow curved handle design helps to optimize workspace and visualization. 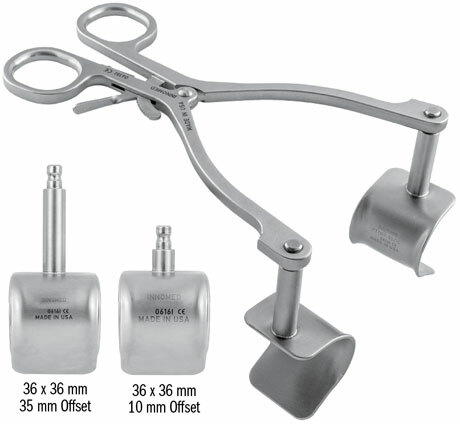 Sold as a set, or available individually for replacement. 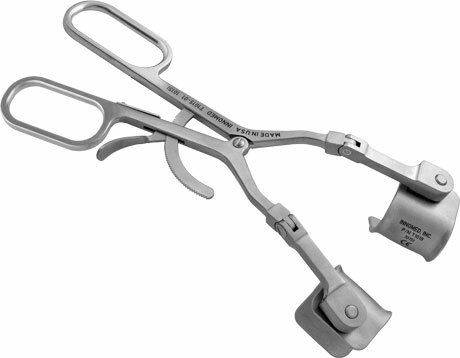 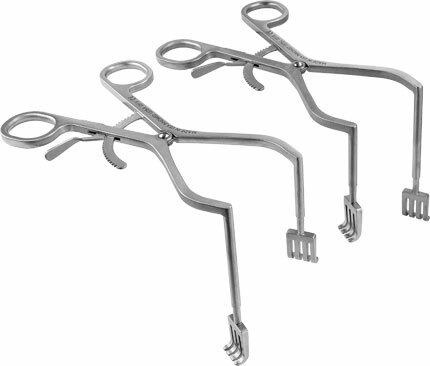 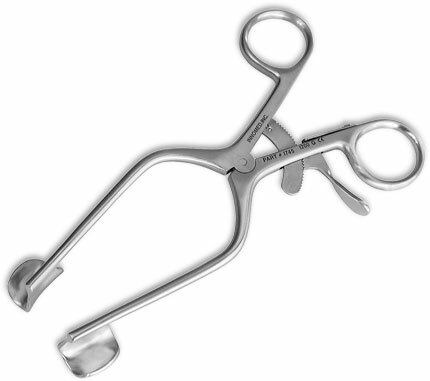 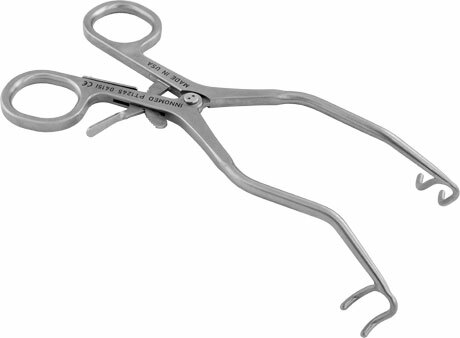 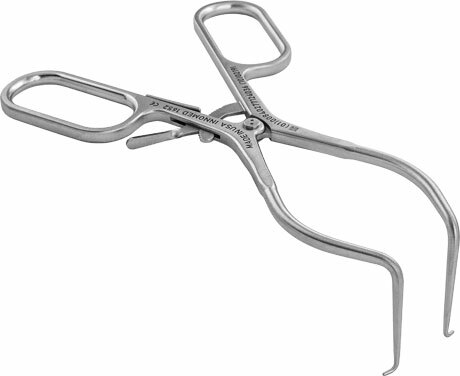 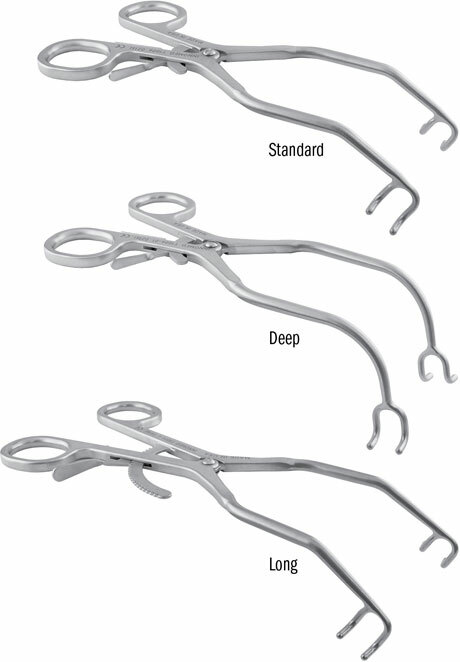 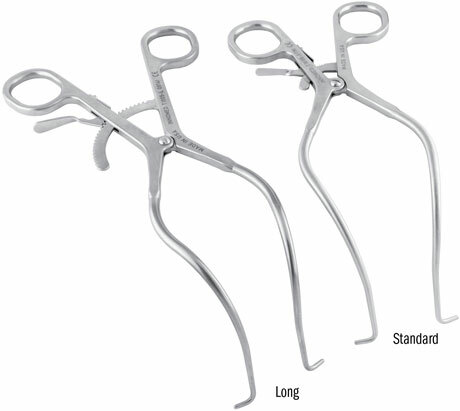 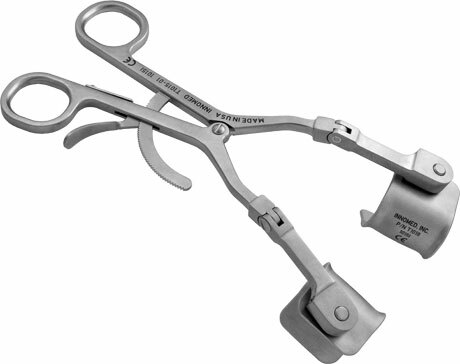 Snap-in, freely pivoting smooth curved blades help to concentrate the forces on the center of the muscle bellies, allowing the retractor to remain centered and not get in the way of exposure. 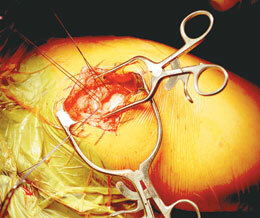 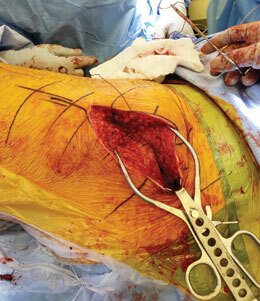 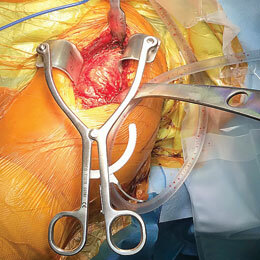 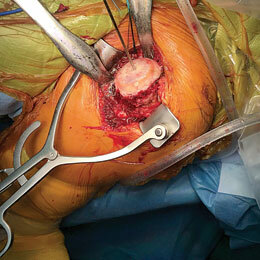 In hip surgery, with the handle towards the surgeon, the longer leg is on the inside. 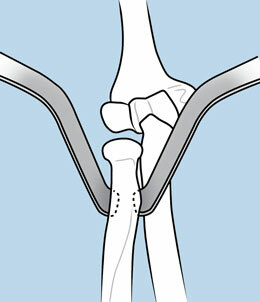 In shoulder surgery, with the handle downward, the longer leg is on the ouside. 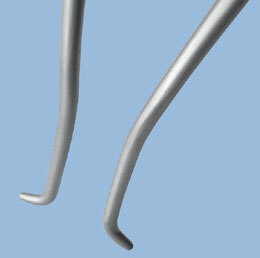 The longer leg extends 1.1" (2,8 cm) deeper. 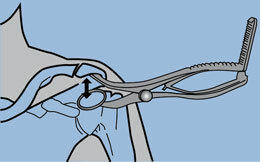 Designed to gain optimal access to the subacromion space by distracting inferiorly the humeral head from the acromion. 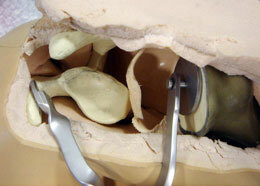 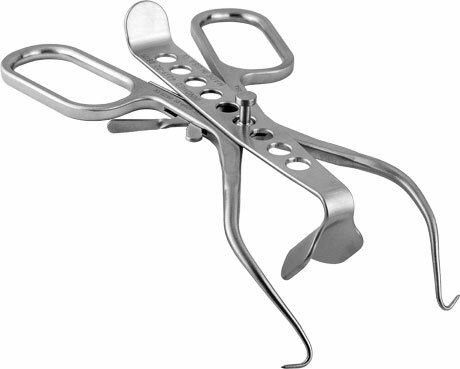 Jaws and arms are parallel with no gap when closed to allow easier insertion in tight spaces. 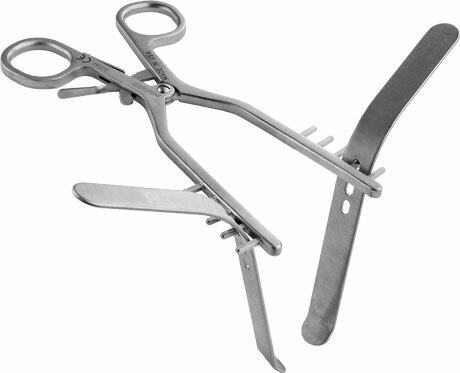 Two pairs of snap-in, freely pivoting blades included in set. 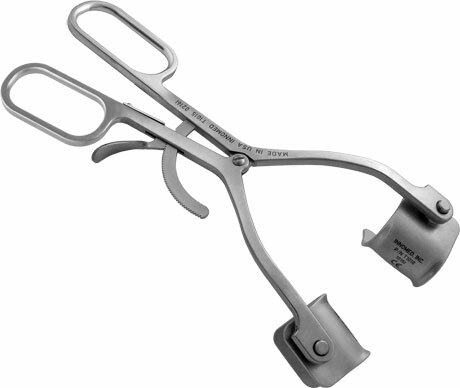 Center blade can be reversed for shallow or deep retraction. 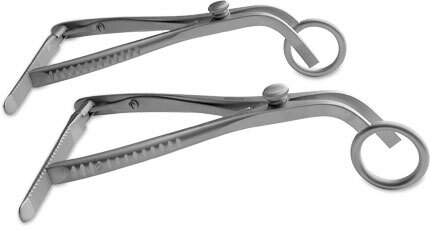 Two pairs of snap-in, freely pivoting blades included. 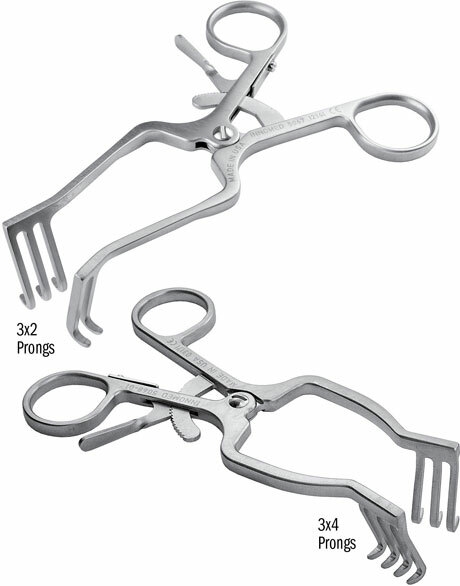 Can be used interchangeably with any Innomed Kolbel Self-retaining retractor. 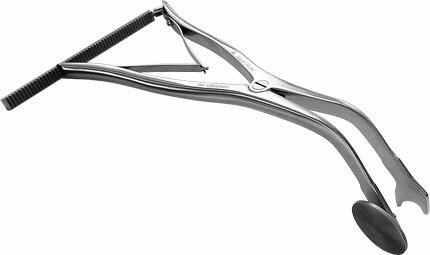 The OrthoLucent™ carbon fiber PEEK blade is strong, radiolucent, lightweight, can be steam sterilized, and also helps to prevent from marring component surfaces. 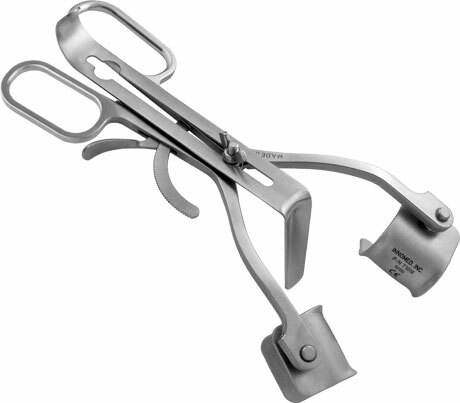 Use facilitates the introduction of deeper retractors which arerequired for sufficient visibility of the glenoid, acromion and rotator cuff. 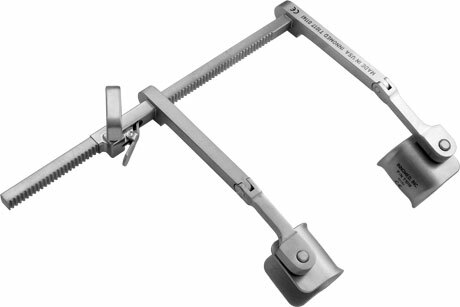 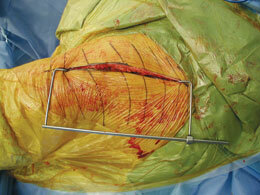 Also used for retracting a split deltoid in mini rotator cuff repairs.